One of the first videos to show a Galaxy S4 to have a knife taken to it shows that Samsung’s new smartphone should be able to hold its own in a pocket full of pointy things! Samsung loves to tout its smartphones’ specifications. In what can only be described as the complete opposite of Apple, Samsung is all too eager to play the speeds and feeds game, reeling off list after list of what special wizardry is packed into its phones. That’s probably why it chose the third-generation Gorilla Glass for its Galaxy S4. Gorilla Glass is one of the strongest materials you can use when designing a smartphone. Whilst certainly not scratch proof, it’s fair to say that Gorilla Glass in any guise is difficult to scratch, and that’s why Samsung chose to use it on the Galaxy S4. As is always the case with a new smartphone release, there will no doubt be hundreds, if not thousands of videos on YouTube showing off the Galaxy S4, with more than a few of those being people seemingly desperate to break it! There’ll be drop tests, there’ll be people blending it, and there’ll be people trying to scratch the living daylights out of it. Well, we don’t even need to wait for the official release of the Galaxy S4 in the majority of the planet for that scratch test marathon to begin, with one showing up just today. As is the done thing, this particular YouTuber takes all manner of sharp and pointy devices to their shiny new Galaxy S4, with the intent on destroying it. Turns out though, perhaps unsurprisingly, that the Galaxy S4 is rather durable thanks to that Gorilla Glass 3 screen. 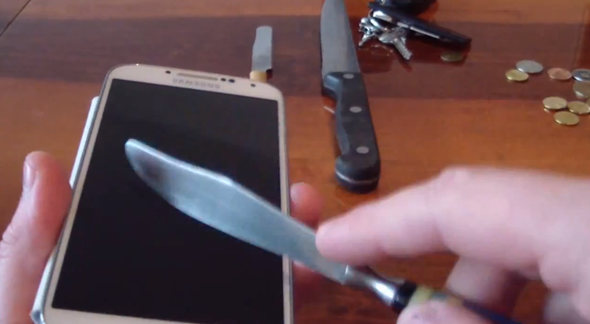 One thing we do learn from the five minute torture video is that, should you want to, you could probably get away with attacking your new Galaxy S4 with the pointy end of a knife without having too many concerns for its eventual state. We’re not sure we’d be rushing out to test this theory ourselves, but it does seem to be that Samsung’s new phone should be able to stand up to the usual rough and tumble of life inside a trouser pocket. 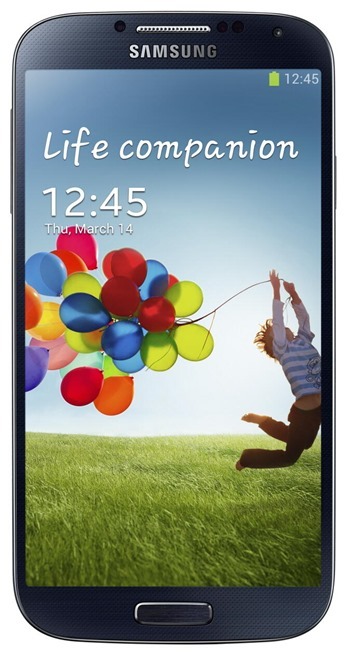 Of course, there’s not guarantee it will bounce any better than the Galaxy SIII did! Thanks, Daniel for the hat tip!